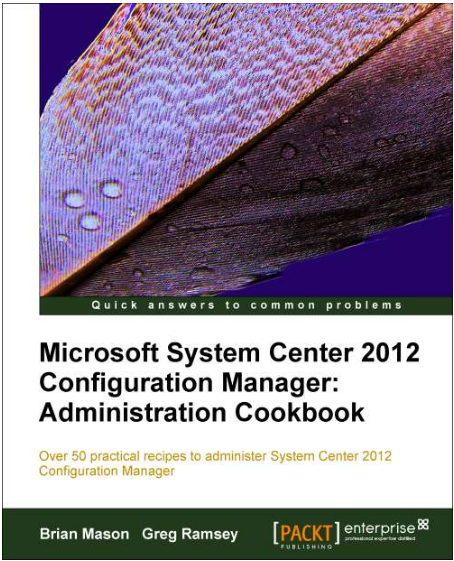 There is a new book on Microsoft System Center 2012 Configuration Manager coming soon. It is being authored by Brian Mason and Greg Ramsey. Brian Mason is the president of the Minnesota System Center User Group, a Microsoft Configuration Manager MVP, and manages 350,000 clients for Wells Fargo using SCCM. Greg Ramsey specializes in systems management for Dell Services, is a Microsoft Configuration Manager MVP, author of 2 previous books on SMS and is cofounder of the Ohio SMS Users Group. These two know their stuff and I am sure have put together an awesome book.